Seven Shows On Sale NOW & New Music Coming Soon! 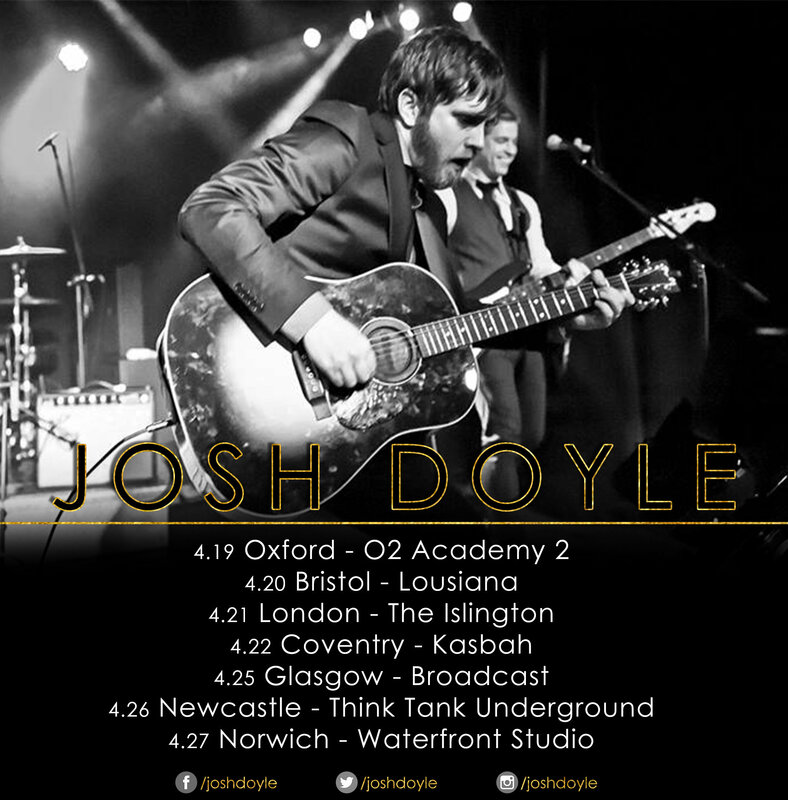 Josh Doyle announces the on-sale of his upcoming 2017 UK tour. Kicking off April 19 in Oxford, the tour crisscrosses the UK with stops in London, Bristol, Newcastle and more! Tickets are available at the links below or visit joshdoyle.com. Doyle will soon serve up five new songs from his new album, Modern Times, and will be available at digital retailers everywhere from Corporate Ogre Records / CTK Records. “I can’t wait for this U.K tour and putting out the first wave of five songs from my new album, Modern Times,” said Doyle. Before Josh Doyle was even old enough to drive, the UK native was compelled to pen songs from the age of 13. While attending Chichester University, he founded rock outfit The Dumdums. The group’s debut album for MCA Records, It Goes Without Saying, spawned four UK Top 30 hits, earning them a supporting spot on tour with Robbie Williams before the band split up in the midst of creating their sophomore album. Doyle then relocated to Nashville and began crafting and independently releasing the EPs The End of Fear, Values and Virtues, Middletown, and Songs From The Nuclear War Vol. 1 & 2. In 2012, Doyle won Guitar Center’s Singer-Songwriter competition, beating out 17,000 competitors and receiving a three-song EP by Grammy® Award-winning producer John Shanks. The Shanks-produced, critically-acclaimed Josh Doyle, released in 2013, featured the single “Solarstorms.” Doyle is represented by CTK Management and Neil Warnock of UTA. Josh has appeared at major music festivals including Glastonbury and Hard Rock Calling (2013). He has also been featured on Jimmy Kimmel Live, CBS This Morning, Fox & Friends, The Adam Carolla Show, Marie, The Daily Buzz, Daytime, The Better Show, Good Day New York, The Nick and Artie Show on DirecTV’s Audience network, ArtistDirect, Nashville Lifestyles and many more. For more information, visit joshdoyle.com and follow on socials /joshdoyle!